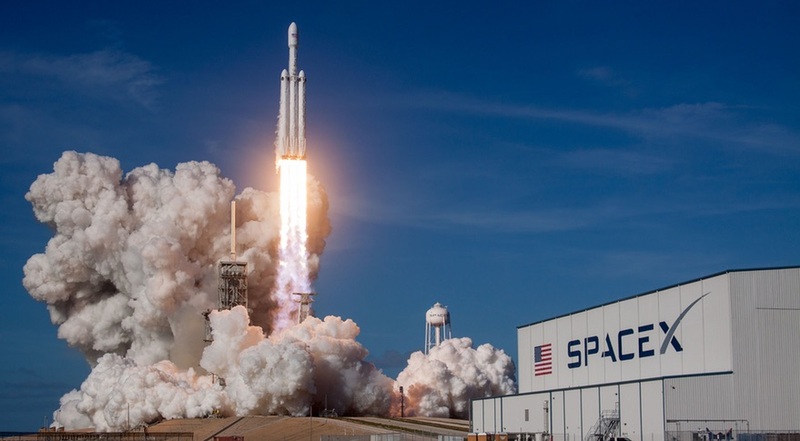 The Arabsat 6A launch — the first by Falcon Heavy since the rocket debuted in February 2018 — will help advance the certification of the vehicle for national security missions. WASHINGTON — U.S. Air Force officials will be keeping a close eye on Falcon Heavy’s upcoming Arabsat 6A commercial communications satellite launch that is scheduled to take place in early April. The results of that mission are significant for the Air Force as SpaceX plans to recover both side-mounted boosters and refurbish them so they can be reused for an Air Force launch a few weeks later. The Arabsat 6A launch — the first by Falcon Heavy since the rocket debuted in February 2018 — also would help advance the certification of the vehicle for national security missions, which the Air Force has not yet completed. Before, during and after the Arabsat launch, “we will take an up-close and personal look at how they do things,” said Randy Kendall, vice president of launch program operations at the Aerospace Corp. The company advises and supports the Air Force on all aspects of national security launch, including the certification of new-entrant vehicles. Approximately two months after launching Arabsat 6A from launch pad 39A at NASA’s Kennedy Space Center, SpaceX is scheduled to fly an Air Force Space Test Program rideshare mission known as STP-2. For this flight, Falcon Heavy will be powered by a new center core and the two refurbished Falcon 9 Block 5 side boosters from the Arabsat mission. The date of the STP-2 launch has not been firmed up yet. The STP-2 mission originally was awarded to SpaceX in 2012 for a 2015 launch, but it was delayed by rocket development issues. The launch now comes at a pivotal time for the Air Force as it moves closer to certifying reusable rockets. Congress last year directed the Air Force to change the name of the Evolved Expendable Launch Vehicle program to National Security Space Launch effective March 1 in recognition that the military will no longer fly only expendable launch vehicles. The Falcon Heavy will carry STP-2 as the primary payload and will deliver secondary payloads from an ESPA ring. Kendall said the STP-2 mission is a “great opportunity for the Air Force to take a little risk where it doesn’t affect the high-value national security satellites but still allows them to learn a lot, and apply it.” STP satellites are used for experiments and prototyping of technologies. After the inaugural flight of the Falcon Heavy, the Air Force certified the vehicle as eligible to compete for future NSSL contract awards. But Falcon Heavy has yet to complete the so-called “nonrecurring design certification,” Kendall said. He explained the Air Force has a two-step process for new entrants. A new vehicle doesn’t have to complete the full certification plan to be eligible to compete for contract awards. In the case of Falcon Heavy, it made it past the first phase but its final design certification is not done yet.